Happy Thursday lovelies. Fancy trying this Avocado, Peas and Feta on Toast with Poached Eggs recipe anyone? Love Your Gut Week takes place between 4-10 September and seeks to raise awareness of the importance of good gut health. Love Your Gut has been raising awareness of the importance of gut health for over 18 years by providing expert tips, digestive health news and recipes. Peas are a good source of dietary fibre and some complex carbohydrates which gut microbes thrive on. Avocados also provide dietary fibre and a rich mix of micronutrients needed for health. Sourdough bread is made using a long fermentation method which helps breakdown gluten and some of the carbohydrates to make it more digestible. Place the frozen peas in a pan and cook in a little boiling water for five minutes. Drain and leave to cool. 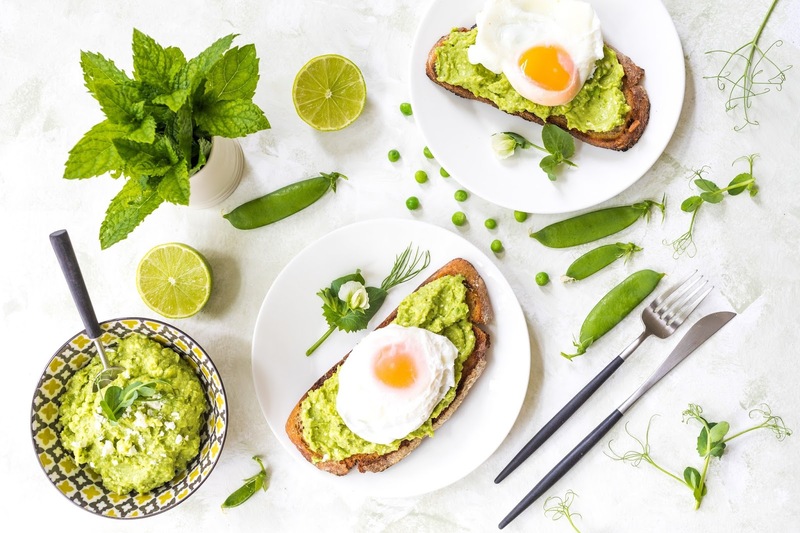 What do you think of this Avocado, Peas and Feta on Toast with Poached Eggs recipe? Let us know if you get to try some. "Last Minute Holiday: Right Leg In: What I Wore"
Yum! I love anything avocado! Such pretty styling! Thanks for sharing at Home Sweet Home! I've never tried this before, sounds interesting.